Malek Jandali is a critically-acclaimed Syrian composer and pianist. A naturalized American citizen, Jandali has used the power of music to impact the international community. A fearless opponent of the Syrian regime, Jandali was awarded the Global Music Humanitarian Award and was selected as one of the Great Immigrants of 2015 by the Carnegie Corporation of New York. Jandali is notorious for his work, "Ana Watani(I Am My Homeland)", a song he composed in 2011 to protest the Assad regime's killing of Syrian children. As a result of Jandali's song, regime forces brutally beat Jandali's parents at their home in Homs, attempting to punish them for their son's behavior. I had the opportunity to speak with Malek Jandali about the recent projects of his. Growing up in Syria, Jandali studied at the Arab Institute of Music in Damascus, one of the world's most prestigious centers of learning. His roommate there was a man named Abdulrahim Alsiadi. While Jandali was one of the academy's most extraordinary pianists, Alsiadi was known for his ability to play the oud, a stringed instrument prominent in Arab music. After graduating from the academy, Jandali left Syria upon getting a scholarship to transition from pianist to a composer at the North Carolina School of the Arts in 1994. 3 years later, Alsiadi would join him in America, pursuing a PhD in American Studies at Rutgers University. Jandali and his old college roommate lived parallel lives, not really expecting to ever collaborate on music again. But after over almost two decades in America, Jandali and Alsiadi united once again with the idea of spreading music that could be the voice of the children suffering in the Syria. Jandali and Alsiadi recruited Juilliard-educated cellist, Laura Metcalf, to create The Malek Jandali Trio. While media shows Syrian people as caught up in all of these acts of violence, The Malek Jandali Trio was created to show the world the Syrian people's humanity. "It is not something we learned at Fordham or Harvard. Even the illiterate Syrian man will respect the synagogue, mosque, and church because Syria is a symphonic environment," Jandali told me. "You will hear the call to prayer and church bells in harmony as you walk through the streets of Homs, Damascus and Aleppo...The Syrian people are naturally embracing of humanity. It is organic." Consisting of an oud that draws from traditional Arab elements and a piano and cello that derive elements from classical Western elements, Jandali's Trio showcases coexistence of cultures. Similar to the diversity of the Syrian people, Jandali describes these different music forms as "independent and maintaining our identities, yet unified in harmony." They have showcased their project,"The Voice of the Free Syrian Children," worldwide for audiences in Abu Dhabi, Germany, Croatia, France and Spain, where the Queen of Spain was in attendance. In a world where Syrian people are repeatedly dehumanized, Jandali wants the world to know,"We need to be conscious of humanity at this time...The Syrian children are more than numbers." Inspired upon hearing Syrian children singing for justice and humanity at a train station in Croatia, Jandali created four movements called,"Luminosity," which will be debuting at Carnegie Hall this Saturday, February 6th, to celebrate the tenaciousness of these children. Along with Luminosity, Jandali will also be launching his latest project,"Soho," telling the story of his journey from Syria to the SoHo neighborhood of New York City, which includes a Syrian-American community that has been in America since the late 1800's. Jandali's project has also showcased so many different types of children. As a result of a contest Jandali held, a 14 year old Korean-American boy will be opening the show on Saturday. After that, Jandali will also honor young musicians from Tunisia and Egypt. Speaking with Jandali, I was thoroughly impressed and at times taken back by just how sincere and simplistic his message was. "How could the Assad regime be so bothered by a piano? Most of his songs do not even have word. How is this so influential?" I asked. This is more than music, Jandali explained. It is "not a concert...Not a project. It is a journey in time and around the globe. It is a journey to celebrate our humanity...Nobody can destroy my music. You can kill the musician but you cannot kill the music." Jandali's message is universal. Just like the psychological wound that Syrian children must endure, Jandali's music carries a lot of power though it cannot physically be seen. 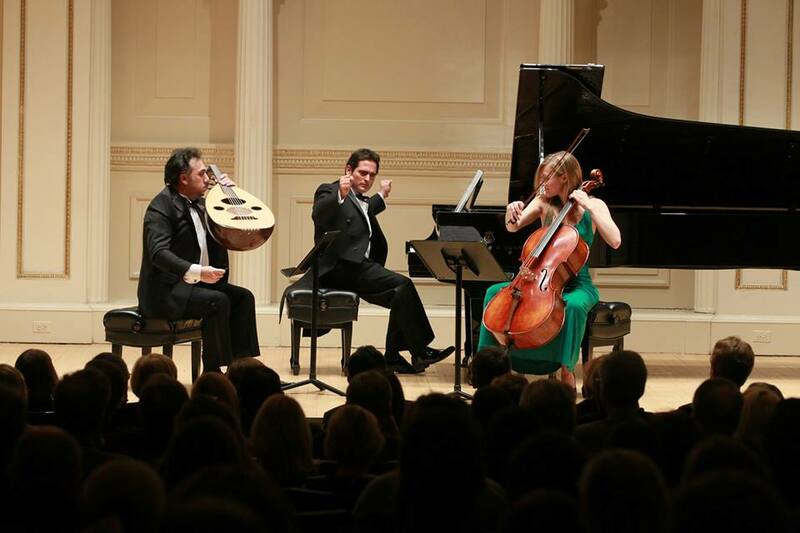 His album, "Soho" tells a story of the journey from Syria to America, beginning in 4000 BC when the Syrian people created the first musical note all the way up to Jandali performing in Carnegie Hall on Saturday. It draws on influences from Chilean poets to Sufi mystics like Rumi and Ibn Arabi, to African American poets like Rita Dove to even having a band from Croatia come to perform. After performing at Carnegie Hall, Jandali will continue on traveling the world, celebrating the voices of the Syrian children, in Mexico followed by a performance at Oxford Union for the Dalai Lama. Such is the power of a music. On Saturday, Malek Jandali's parents, now in America free from the hands of the brutal Assad regime, will be in attendance for their son's concert at Carnegie Hall. Malek will dedicate a song for them called,"Moonlight," based upon on Tala Al Badru, a hymn sung for the Prophet Muhammad(Peace be Upon Him) and his companions upon them arriving in Madinah, away from the persecution Muslims faced in Mecca. Malek Jandali is a voice of inspiration and humanity. Syria is a humanitarian disaster which has been treated as a sphere of influence and discussion of politics. Jandali's music tells a story of Syria beyond the politics. 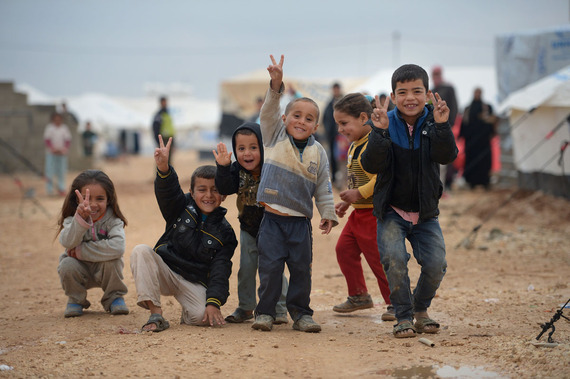 It tells the story of the humanity, healing the psychological wounds of the Syrian people.